It is with sadness that I give the news that came to me by email tonight from Jigyasa Giri and Pratibha Jain, the authors of the beautiful and lyrically written southern Indian vegetarian cookbook, Cooking At Home With Pedatha. Down below this simple statement of grief was the image of Pedatha’s lovely face you see above. Tears came instantly to my eyes, because even though I never met Pedatha, through reading Jigyasa and Pratibha’s book, I felt as if I knew Pedatha as well as any of my beloved elder Aunties. I felt the keen pang of loss, because not only had I never met this remarkable woman and inspirational cook, I never would. Through their book, Pedatha’s images, words, admonitions, kitchen philosophy and recipes will live on forever, not to be lost by the hands of time. For as long as one copy of this book exists and there is a human being to touch it, hold it, open it, read it, and I hope, cook from it, the spirit of Pedatha will live on. So long as we can taste the flavors of Pedatha’s dishes, her spirit will be with us, a part of us. Because, the truth is, even in death, there is no parting. Separation is an illusion–we are all, each of us, part of the unity that is the Universe. Thank you both Jigyasa and Pratibha for giving part of Pedatha to the world. We are grateful, and will not forget her, even as we sorrow with you. Oh, I am so sad. Although I didn’t know her, I feel as if I did. Her spirit shines from every page of her cookbook, and those recipes feel like some old family recipe a favorite aunt just decided to share with you. And the pictures! Her eyes shining and her zest for life and food apparent on every page. In a way she lives on – even with those of us on the far side of the world – in the pages of that book. Thank you Jigyasa and Pratibha for creating such a wonderful legacy. Thats sad. I had read a lot about her during the past few months and was hoping to buy her book soon. SHe looks so serene in her photos. your eloquent expressions are a rare gift…they just touch the heart…thank you seeing Pedatha as you do. To call your post a virtual candle is the sort of gesture that would have reached her in a span, wherever she may be. 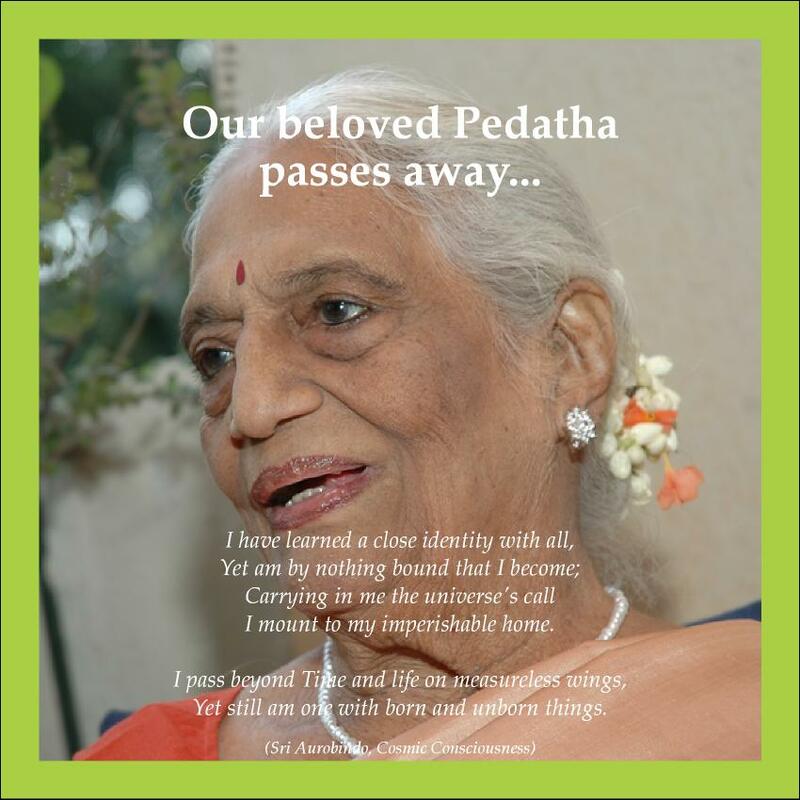 Pedatha’s family joins us in expressing warmest regards to you. your eloquent expressions are a rare gift…they just touch the heart…thank you seeing Pedatha as you do. To call your post a virtual candle is the sort of gesture that would have reached her in a span, wherever she may be. Pedatha’s family joins us in expressing warmest regards to all of you.